The process of searching for your first position in local government can seem like a daunting prospect and the path to the manager’s office can seem like a long journey. There are many different types of jobs to choose from and different trajectories your career in local government could take, especially if you are considering positions in larger jurisdictions. It is possible that the first position you land won’t be in a manager’s office or even in the field you expect to be in. I should know; my career began in a department I did not expect it to and may not have considered if I hadn’t kept an open mind, but ended up providing opportunities for me to gain skills and make connections I needed to progress in my career. Although there are many ways to advance your career, here are three things you can incorporate into your everyday work in your first local government position to make sure you are headed in the direction you want to be. One of the key skills an aspiring manager must possess is the ability to recognize connections across seemingly disparate departments, lines of service, and legislative issues. Fortunately, this is a skill you can hone very early in your career. Opportunities abound for those who are able to connect with others outside of their departments. One way to implement this concept is to simply talk to people. You will find that most people are more than willing to talk about their jobs or careers and also derive a certain level of satisfaction when someone else demonstrates interest in what they do every day. You could take this a step further and have lunch with a department director, assistant director, or even team leader in a department that you have an interest in, or see if you can organize a few hours to shadow another employee. Another more practical way of engaging outside of your “silo” is to volunteer for cross-departmental work; for me, this was serving on a special events group that assisted large event organizers in meeting regulatory requirements. While the piece I was responsible for at the time was relatively minor, I gained a great insight into planning, public safety operations, and tourism/economic development operations that I was later able to incorporate into my daily work and made me a stronger candidate for other positions. Second - make the most of every task. 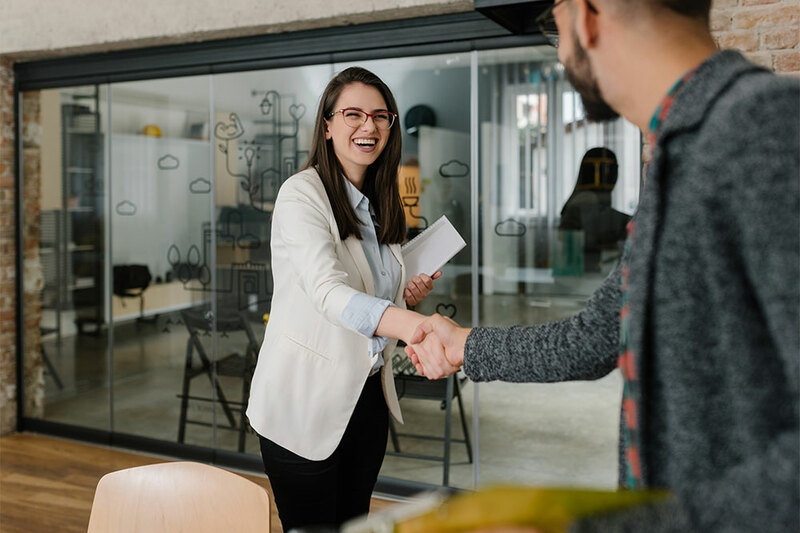 Entry-level positions can be difficult to adjust to, especially as you emerge from the rigor of a graduate-level program or a certain level in another field. This can be particularly true if you end up in a large organization with a lot of staff. Chances are good no one is going to ask you to run a regression analysis or to break out your in-depth econometric skills, but that shouldn’t stop you from using every opportunity to engage your critical thinking and organizational skills. One of the most noteworthy projects I contributed to during my first position was the creation of an information package distributed to a certain type of business that was designed to help them through the business registration process, thereby streamlining an interaction the public had with our office. Third - take time for learning and professional organizations. Membership, conference, and travel costs can be a tall order, especially for small organizations, but that doesn’t mean that you can’t get involved. Most states have quality local government management associations that are often affiliated with ICMA and other top-tier public administration organizations. For me, this meant occasionally taking a day or two away from my first job to attend events and trainings geared toward non-managers held by my state’s professional association. Not only did I learn a lot at these events and take back some of that knowledge to my job, I was able to network with people from my own organization (and from all over the state) who attended. What are your tips for success? Share your three actions for success in your first local government position on our Ask and Answer page. Want to learn more about ICMA professional development opportunities for students? Check out our Resources for Students! Want to connect with experienced local leaders? Check out the ICMA Coaching program! Career Compass No. 4: Spot That Opening, and Take It! Frank Benest, senior adviser for ICMA's Next Generation Initiatives, recommends tactics for targeting and preparing for job openings. As young people across the country go back to school this fall, ICMA provides resources for those looking for a career in local government.